Outdoor lifestyle brand Timberland has today (16 July) installed a pop-up Lab within the new JD Sports store on Oxford Street in London. 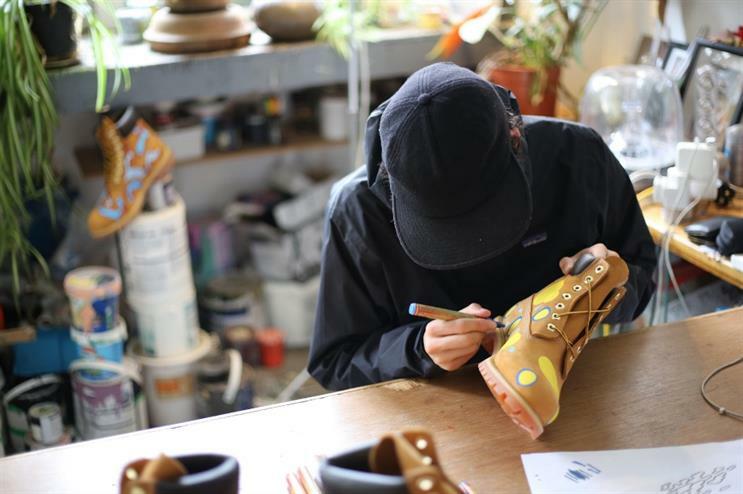 Designed to celebrate the store’s opening, the Lab provides shoppers with the opportunity to customise their new Timberland boots in-store between 11am and 6pm. The brand has recruited artist Yoboh Studio for the experience. Representatives were on-hand throughout the day to illustrate one-off designs onto customers’ shoes. Yobah's work for Timberland can also be viewed in JD Sports’ window display, and it has been paired with colourful merchandise which references the original Lab aesthetic, which can be found within Timerbland’s Regent Street flagship store. Customers who can’t make it down the the pop-up today can visit the brand's flagship, where they can customise their boots at the Lab all year round.